The Cromwell Connection to Wistow actually begins after the period we now call The Dissolution of the Monasteries in 1536 when Henry VIII dismantled the monasteries and other religious houses, appropriated their income and gave away their lands and assets. This article will look back to a slightly earlier time to explain the steady development of the Cromwell family connection to Wistow taking each generation at a time. We start with Walter Cromwell a.k.a. Walter Smyth (c. 1463–1510), variously described as a cloth worker, a smith and an alehouse keeper, who appears to have been a bit of an unsavoury character. Walter had a son, Thomas, and two daughters, Katherine and Elizabeth. Thomas Cromwell was born c. 1485 in Putney and married Elizabeth (Liz) Wykys in 1513. They had a son, Gregory, and two daughters, Anne and Grace. Sadly in 1527 Liz and her young daughters all died from the sweating sickness. Gregory Cromwell, 1st Baron Cromwell, married Elizabeth Seymour, who was Queen Jane Seymour’s sister. Jane Seymour was Henry VIII’s third wife and mother to Edward VI. Thomas Cromwell was a lawyer by profession and the founder of the family’s fortunes. He became chief minister to Henry VIII from 1532 to 1540 and was raised to the peerage as the first Earl of Essex. He fell from favour after arranging the King’s disastrous marriage to Anne of Cleves and was executed on 28th July 1540. (The Sweating Sickness was a serious illness which appeared first in England then spread into Europe at different intervals during Tudor times. It claimed many lives during a series of epidemics between 1485 and 1551. The onset of symptoms was dramatic and sudden, with death often occurring within hours. It is not known exactly what caused it or even what it was because it disappeared entirely after 1578). Bet (Elizabeth) married a Mr Wellyfed (what a fantastic name). In 1497 Thomas’ older sister Kat (Katherine or Catherine) married Morgan ap Williams, a Welshman and distant relation to Henry Tudor (VII). They had three sons, two of which were named Richard and a third son called Walter, who married his cousin Alice Wellyfed. They had three children and Walter died in 1544. One of the Richard Williams’ married, had a child named Henry and died in 1588. The elder Richard was taken in by Thomas Cromwell when both his parents died very close to each other. Richard then took the name Cromwell in honour of his uncle and it is through this Richard that the Cromwell connection to Wistow is first established. (Hilary Mantel in her novel Wolf Hall suggests that Richard was taken into Thomas’ household when both his parents died of the sweating sickness in close succession. This is possibly the reason for Richard’s gratitude and to be fair to him he did not reclaim his birth name Williams when his uncle was disgraced and beheaded. In fact all three of the Williams’ sons began calling themselves Cromwell in honour of their famous maternal uncle. Most of their descendants also used the surname Cromwell or occasionally Williams-alias-Cromwell. After the Restoration in 1660, when it may have been unwise to be seen to have close links with Oliver Cromwell, some members of the family reverted for a time to calling themselves Williams, though generally just as a temporary measure). It is unclear exactly when Richard Williams alias Cromwell was born or when he died. He was born either in 1495 or c. 1500 and most likely died on 20th October 1544. His will was dated 20th June 1544 and was proved on 24th November 1546. (The conflicting birth years could be because there were two brothers both named Richard). Richard Cromwell was a courtier during the reign of Henry VIII and the nephew of the King’s minister, Thomas Cromwell. 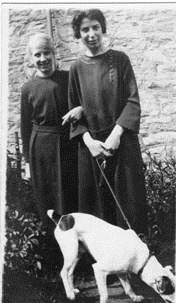 Richard married Frances Murfyn (a.k.a. Martyn) who died in 1533 and was a relative of the King’s second wife, Anne Boleyn. – it was in 1538 that Richard Williams alias Cromwell received a royal grant of the priory with its “church, steeple, churchyard and house and all lands”. Sir Richard was also granted Ramsey Abbey lands including WISTOW on 4th March 1539 or 1540. By 1541 he was Sheriff of both Huntingdonshire and Cambridgeshire. This is after the execution of Thomas Cromwell, so he appears to still be in favour with the king at this time. He was also appointed gentleman of the Privy Chamber; served in France in 1543 as general of infantry; was made constable of Berkeley Castle, steward of the lordship of Urchenfield, and constable of the castle of Godrich in Wales. Sir Richard Cromwell died full of honours and wealth. It was Richard’s son and grandson who weakened the family fortune. Sir Richard and Frances had two sons – Henry and Francis (died 1598). Sir Henry Cromwell (born c 1524 or 1537 and died 6th January 1603 or 1604) inherited his father’s estates including WISTOW. He was born at Hinchinbrooke Priory and rebuilt it as a mansion. He was made a Knight in 1563 and was nicknamed ‘The Golden Knight’ because of his lavish expenditure. Henry married Joan Warren (1524 to 22nd August 1584) and they had eleven children, six sons and five daughters, most of whom survived into adulthood, married and had children of their own. The four sons of interest to Wistow are Oliver, Henry, Phillip and Robert. Sir Oliver Cromwell (c 1559 to 28th August 1655) married twice and had many children. He was even more lavish than his father, Sir Henry, and was forced to sell Hinchinbrooke House to the Montague family on 20th June 1627 or 1629. 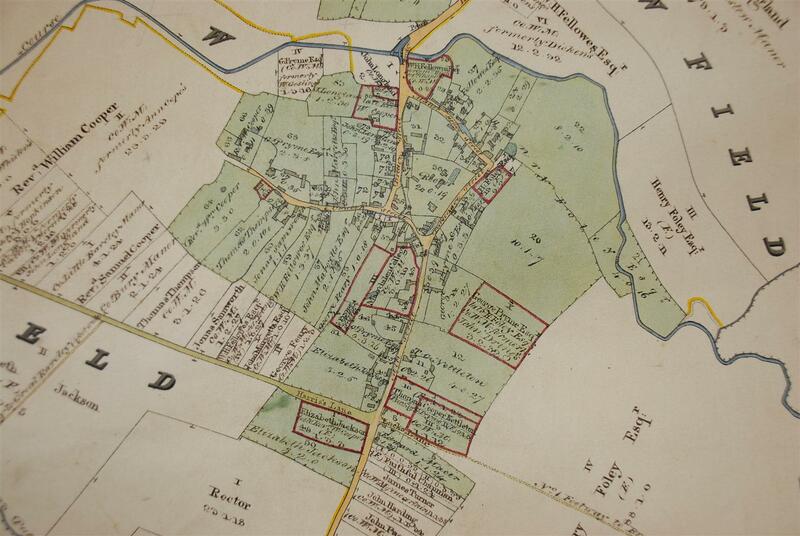 In 1648 he sold WISTOW to Sir Nicholas Pedley, Serjeant-at-law, who was later elected to Richard Cromwell’s parliament in 1659..
Henry Cromwell (c 1566 – 1630) is possibly the Henry Cromwell shown owning some land on the outskirts of the manor in the 1617 map of WISTOW. Sir Phillip Cromwell (c 1576 – 1629) is the most likely candidate for the Sir Phillip shown in the 1617 map of WISTOW as owning the Manor House and much of the land in and around the village. (In 1618 the Rector of Wistow church was Phillip Cromwell B.A. and he was likely to be related to Sir Phillip Cromwell, maybe a son or nephew). Robert Cromwell (born c 1559 or 1560 and died 1617) married Elizabeth Steward or Stewart (1564 to 18th November 1654). They had ten children. Their most famous child was Oliver Cromwell (25th April 1599 to 3rd September 1658) of Civil War fame, who became the Lord Protector of England. Their eldest daughter was named Joan and either died aged 8 or married a William Baker in 1611. The reason Joan is of interest is because one of the Rectors of Wistow church was William Baker M.A. who was Rector from 1642 to 1645 and then again from 1661 to 1687. These periods of time give away the fact that William was turfed out of the church during the time of The Commonwealth but returned with the Restoration of Charles II, which probably means he had Royalist leanings. The question is did Joan Cromwell marry Wistow’s Wiiliam Baker or some other William Baker? Or was William Baker Joan and William’s son? If Joan was related to Wistow’s Rector she may have had conflicted loyalties during the Civil War, torn between her family member and her brother. Another of Robert and Elizabeth Cromwells’ daughters was Anna and she was most definitely connected to Wistow. Anna Cromwell (2nd January 1603 to 1646) was married to John Sewster of WISTOW, County Huntingdonshire, Esquire (died c 1682). They lived and brought up their family in WISTOW. Their children were baptised in WISTOW church and some of their children were buried there. Anna and John Sewster were both buried in WISTOW. The parish record shows that Anna was buried in WISTOW on 1st November 1646. John Sewster c. 8th April 1638 to 1680. (One of John’s daughter’s, Mary, married William Gosling of WISTOW. They lived in what is now Mill Farm). Today, Wistow is a small village with The Three Horseshoes its only surviving public house. However, at one time, Wistow was home to up to seven (or even possibly eight) pubs, which is even more incredible when you consider that in the past the population of the village was considerably less than it is today. The census for 1881 shows that Wistow’s population of only 340 was being served by seven pubs. Given these numerous opportunities for wetting ones whistle, one can only surmise that agricultural work was an extremely thirsty business, and you wonder how straight the furrows were! Thanks go to the current residents for providing information to help in the preparation of this article. For the sake of simplicity we’ll take the pubs in alphabetical order. 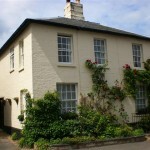 The Chequers used to be along Church Street and is now called The Cottage, owned by Paul and Wendy Turner. It was built in the middle of the 19th century, probably between 1840 and 1860, and may originally have been a smallholding. It was operating as a pub by 1851, and the census of that year shows the publican to be Robert Squires, who was also a milkman, and who lived there with his son and daughter. Robert was publican until at least 1881, but by 1891 it had been taken over by his son Frederick who was described as “publican and farmer”. It appears that the pub was acquired by the Falcon Brewery of Huntingdon in 1899, and it is probable that the publican brewed his own beer on the premises up to that time. The property was sold in 1950 to East Anglian Breweries when Falcon Brewery went into liquidation, but appears to have ceased trading as a pub in 1933. 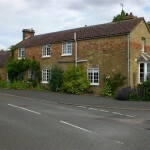 During its life as a pub, a public footpath used to run out of the village through the garden, providing access from Upwood and The Raveleys. The Exhibition is now called Toll Farm, the home of the Garton family, and stands on the main road at Wistow toll opposite the road into Wistow village. It is, strictly speaking, in the parish of Warboys but, as it is much closer to Wistow than Warboys, it is included as a Wistow pub. It first appears as a “beer house” in the census of 1861, Longland Fuller being named as publican and farmer with his wife Mary and their two children. By 1871 William Garton was the publican, as well as being a cattle dealer and farmer, with his wife Martha, and he continued until the early 1900s when Martha took over, presumably on the death of William. The Fleur de Lis (now spelt Fleur de Lys and the home of Alan and Jean Duke) directly facing Bridge Street was operating as a pub into the 1950s. 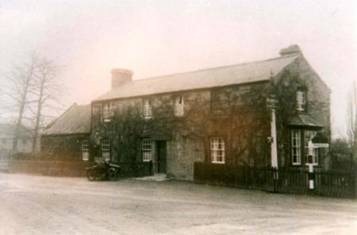 The present building was built around 1860 and stands on the site of an earlier pub called The Cross Keys which is believed to have burned down. 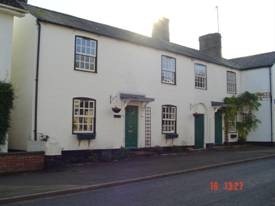 The Cross Keys was probably built in the 17th or 18th century and, from evidence of the old foundations found by Alan and Jean, was orientated diagonally to the present building. 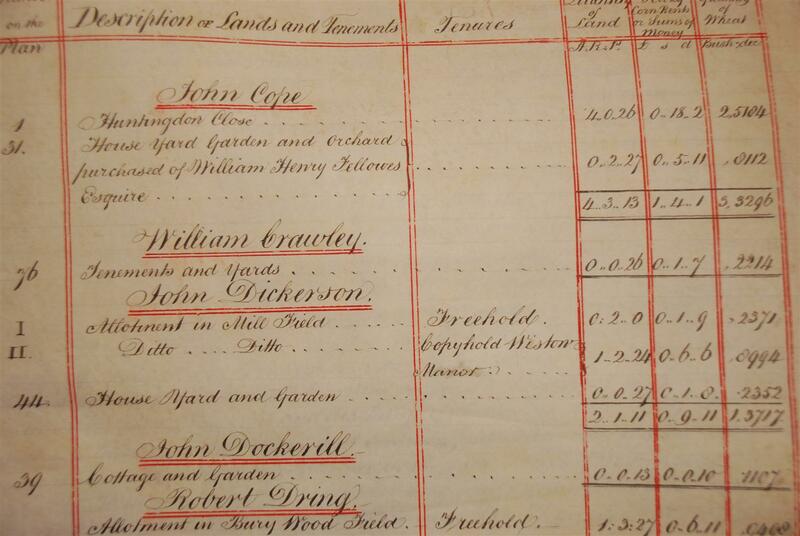 The 1851 census shows the landlord to be John Cope, “brewer, farmer and shopkeeper”, with his wife Ann and three children. By 1861 the publican was William Cope, believed to be John’s son; William’s wife Precious had taken over by 1871. In 1881 the publican was noted as Sarah Butler, and then Charlotte Garton took over until at least 1911. The Fleur de Lis was certainly trading as a pub in 1871 when it was sold by auction. In the auction details it was described as a “Free Public-House” and sold with “newly-erected brick and tile brewhouse, barn, stable, and other convenient outbuildings; along with a very large garden”. It was further described as “an excellent business, that has been carried out on the premises for several years”. At this time, beer was obviously brewed on the premises. The last publican and owner was Ted Clarke, who was also an undertaker. 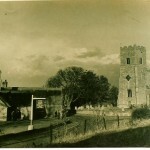 Coffins were made on the premises and the hearse used to be parked in the back garden. A blacksmith, a Mr Halam, who lived in Broughton, used to operate from one of the outbuildings. The story goes that, towards the end of the pub’s life, Ted Clarke got “a bit shaky” and used to bring a tray up from the cellar with a pint of beer, plus a small extra glass to top up what he had spilled from the pint. 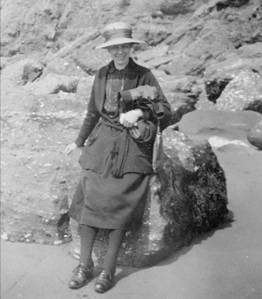 Mrs Clarke was well known for her “Fair Isle” – style knitting. It was apparently common practice for customers to move back the hands of the clock on the wall in order to procure a bit more drinking time. It was also usual for people to cycle in from surrounding farms to catch the bus from Wistow, and they would leave their bikes in the pub barn. Alan and Jean still have the sign saying “Cycles Stored Here”. They also have a black metal sign, citing the Rights of Way Act, which carries the name of Huntingdon Breweries; it is unclear if the pub was ever owned by the brewery, as it is believed that it always traded as a free house. Very little is known about Wistow’s eighth pub, which apparently stood on Bridge Street on the opposite side to the Oddfellows Arms. 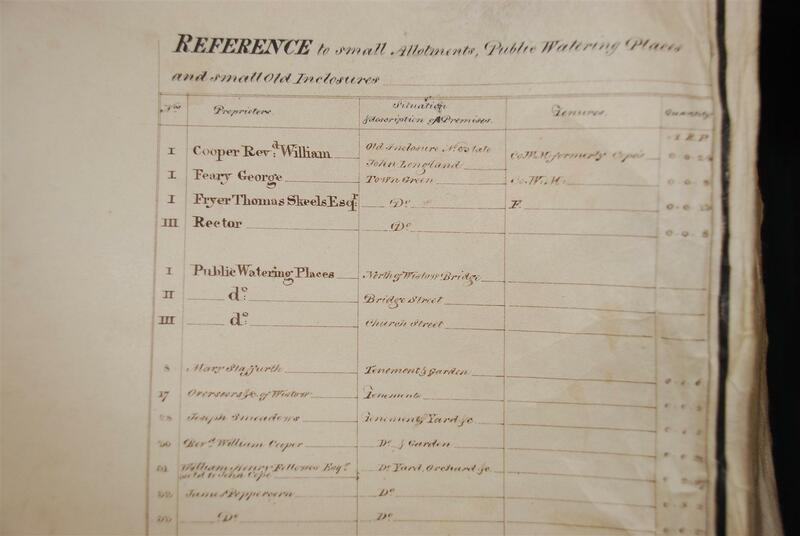 The only reference that can be found is in a map of 1832 showing enclosure details and the King William IV is shown as a beer-house or public house. As William IV only took the throne in 1830, the pub either had only just opened then, or was an existing pub that changed its name. The landlord, or possibly the owner, was listed as Thomas Meadows. No subsequent records can be found. 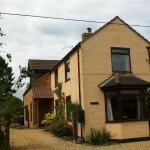 The Oddfellows is now called Bridge House and is lived in by Althea and David Walker. It occupies a site on Bridge Street adjacent to the old Post Office. The property was built, probably during the 1830s, by a Thomas Meadows, but occupied by a Mr Alpress. However its first mention as a public house came in the census of 1861. The 1861 census showed an Eliza Wilkinson, widow and beer house keeper, living at the Oddfellows Arms with her 5 children aged from 1 to 11 years. In the 1851 census there are Eliza and Joseph Wilkinson living in Bridge Street but, as the house names and numbers are not given, it is difficult to know if they were in this particular property at that time. Her husband Joseph has died and her eldest son, Joseph (11), was listed as an agricultural labourer. Mary (8) and William (6) were scholars. The probability here is that, when her husband died, Eliza needed to open up her home as a beer house in order to make some money and feed her family; the same reason that 11 year old Joseph was sent to work in the fields. This is an interesting insight into the home economics of more than a century and a half ago. By the 1871 census Thomas and Ann Peach were at the Oddfellows Arms living with their nephew Charles. Thomas Peach, aged 51, was listed as an agricultural labourer and publican. Thomas and Ann had had a son called William, who was also listed as an agricultural labourer in the 1861 census, when the family lived together in another dwelling in Bridge Street. William was 18 years old when he died on November 28th the same year that the census was taken, as can be seen on his gravestone in Wistow churchyard. In the 1881 census George Harding, “agricultural engine driver and publican”, lived with his family in the Oddfellows Arms, having moved there from Manor Street. However by the 1891 census, although George Harding’s family still live in the cottage, he is no longer listed as a publican but as an agricultural labourer, so it appears that the pub ceased trading during the 1880s. As an interesting background to the name of the pub, it seems that Eliza Wilkinson must have joined up to the Oddfellows friendly society and meetings were held in her pub – hence the name. The Plough, on the corner of Church Street and Bridge Street and now a private house called The Old Plough, was a pub until 1955. At the time that it closed it was owned by East Anglian Breweries of Ely and was sold by the brewery for what seems now the incredible price of £1,000. The publican at the time it was sold was Charlie Matlis, an ex-policeman, who had taken over a few years earlier from the Buddle family; following the sale, Mr Matlis moved to be the publican at the Three Horseshoes. As a private house it was initially known as Crossways, until Pat and Geoff Thornton bought it in 1966 and renamed it The Old Plough. The pub had no bar, beer being served directly to the customers from barrels kept on duck boards over a wet floor in the lean-to. Refreshments were served from a wooden shed. Darts was a popular pursuit, and until recently it was possible to see the depressions where the players threw from. A small back room had a piano, and a larger function room was used for meetings and social occasions. Across the yard a gate led to the bowling green which lay where the modern Crown Green House now stands; despite the name, the version of bowls played was flat green, not crown green as played in the north of England. The bowling green closed towards the end of the 1940s. John Abraham remembers that, in the late 1930s, the youngsters of the village would sit on the cellar steps and be given small glasses of beer. Saturday nights were memorable times. When the darts players and domino groups had a break, the “Kitty” (an old cigar box) was put on the table and everyone was required to sing. Those people who couldn’t, or wouldn’t, sing had to put at least sixpence or a shilling into the Kitty in order to be let off. Customers’ beer mugs were kept topped up from gallon jugs, and last orders were called at 10.30. A rare and unusual local version of skittles, known as Four Corners, was played in the pub, a similar game also being played at Woodwalton and Upwood. The game involved knocking over four 2’ high solid wooden skittles using a wooden “cheese”; lighter cheeses were available for the ladies. The front skittle was called the Jenny, and, as can be imagined, was extremely battered. A former landlord before the war, Mr A Whitehead, did not allow gambling, and the large inscription “Please Notice this Notice no Gambling A.W.” can still be seen on the wooden beams of the outbuilding in which the skittles were played. It is believed that the notice was not very effective in preventing wagers on the outcome of skittle games. The Plough used to be at the centre of village life. It was the custom of the British Legion to parade to church and then repair to The Plough for a great tea and jollity before, much later, parading back to Warboys. Going a little further back, in 1841 the landlord was Faithful Chapman and his wife Mary, who employed a brewer called John Bond. The census for 1851 has the publican as Samuel Samworth with his wife Drusilla and two children, and they were there until at least 1871; one of the children, Edward, went on to become the landlord at Uncle Tom’s Cabin. The census for 1881 shows the publican to be a Joseph Middledich who lived there with his wife Ann and two young daughters. In 1891 it was run by Arthur Chapman who is listed as “butcher and publican”, and the census for 1901 shows the publican to be a Joseph Howes who lived there with his wife Caroline and three sons. 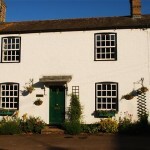 This is Wistow’s only remaining pub, run by Julia and Gerry Berry since 2005. 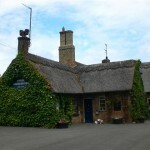 It is a very attractive thatched building which was believed to have been built sometime in the 1700s and has long been a focal point for the village. At one time the local harness maker lived next door. In 1832 the pub was operated by John Page, and the 1841 census shows the publican to be Thomas Page, along with his wife Lettice and five children; Thomas was possibly John’s son. 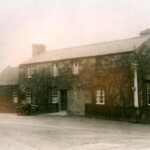 By 1861 the pub was being run by Sarah Peach, in 1871 by John Cawent and his wife Elizabeth and their three children, in 1881 by Robert Squires and his wife, and then for a number of years by Joseph Howes and his wife Caroline and five children; by 1911, Caroline had taken over the pub. 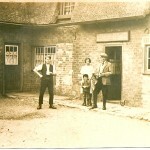 In the years following the Second World War, the Three Horseshoes was at the centre of village social life. On Saturday nights, a lady played a baby grand piano in the bar, and as many as three “bookie’s runners” operated from the pub. Three darts teams played there, one for men, one for the ladies, and one for “gentlemen” i.e. the oldies. Saturday lunchtime was always a busy time, with all the farm workers retiring there once work had finished. The pub was also a meeting point for fox hunts; originally the Fitzwilliam, from Oakham in Rutland, and then the Burleigh from the early 1960s. John Abraham recalls how he used to have a pet fox which he would take to the pub. The fox would lie quietly underneath the bench in the bar while John drank with his mates. John and Eileen Cooper, who were the publicans from 1969 until 2003, were the first to end the pub being run as a tenancy when, in 1986, they obtained the freehold from Watney Mann. Now called Ross House and owned by Tom and Carol MacInnes, it stands on Church Street next door to the Fleur de Lis. It is believed to have been built during the 1830s by a George Ross, a butcher, who is shown as the owner in the census of 1841. The first mention of the property as a public house is in the census of 1871 when the landlord was a James Sansum who lived there with his wife Susannah and two children. By 1881 the publican was Edward Samworth with his wife Elizabeth and small daughter, Edward being the son of a previous landlord of the Plough. The publican in 1891 was Charles Elmore with his wife Sarah and seven children. It is believed that a Phoebe Creek took over the pub during the 1890s but after that there are no further mentions of the property being a public house. It is known that a butchery business was run from the premises for a number of years, possibly into the early 1900s, and “fleshing” was carried out in the cellar. During road-works during the 1990s a pipe was found running from the cellar and down Bridge Street to the brook, presumably to carry away blood from the fleshing. Apparently, during the war, the cellar was used as an air raid shelter. At the time of the Domesday Survey the Abbey at Ramsey held 16 complete manors and part of 8 others. In the early Middle Ages – 12th and 13th century – of the free tenants two classes may be distinguished. Firstly those who held land by military service and from whom the Knights were chosen, and secondly those holding land by non-military tenure who owed homage and followed the hundred and county courts and the court of Broughton. Sometimes a money rent was paid for a free hide and occasionally light labour services were also performed. The censuarii were tenants paying money rent for their land but owing labour service as well, and thus were hardly to be distinguished in many cases from villeins, who themselves by the 13th century are to be found paying money rent too. Villeins held land by labour tenure and amongst those on the Ramsey estates are found virgaters, cotmen and crofters. The services consisted of week-work and boon-work. Of week-work services, ploughing was required as a rule one day a week, usually Fridays. If it could not be done e.g. bad weather or a feast day falling on a Friday, then it may or may not be required on another day. In some cases the service might be put ‘ad censum’ meaning at the lord’s pleasure, or deferred for two or three weeks. In certain manors if a villein was ill for a year and a day, he was excused all services except ploughing. The work was distributed according to the number of ploughs and not the number of villains and penalties were imposed for bad work. In addition the lord had his own demesne plough on each manor worked by the tenants, usually the semi-virgaters, holding their own land on condition of following the plough, called ‘akermanni’ or ‘carucarii’. 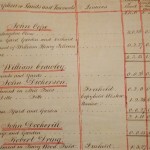 In addition to the weekly ploughing the tenants by labour service were required to work on other days, the number varying from manor to manor, for the performance of miscellaneous services e.g. weeding, haymaking, ditching, threshing, collecting rods or nuts, making hurdles or watching at the fair. An important item in the weekly works was carting, the amount constituting a load was strictly defined. Carting might be within the manor, including rushes cut from the marshes and brought if necessary by boat, loads of hay or crops, or to adjacent manors or markets and particularly to the Abbey. Occasionally longer journeys were involved. Villeins from Broughton were sent to London. A villein from Abbots Ripton received 1d from those remaining at home if he went beyond the water of St Ives or Huntingdon. At Wistow carrying a cartload to Ramsey was reckoned as two works i.e. the villein was released from two weeks work with the exception of ploughing. Besides the week-work, additional boon-work was required, boon ploughings and harvest boons were supplementary to increased week-work, which was fixed and regular. Boon ploughing were usually three times a year, in early winter, spring and summer and the land thus ploughed was usually sown with the villein’s own seed. Harvest boons were required in August and September when the regular increase in the week-work was not sufficient. Similarly during haymaking, the villein might be required to work the whole week until the hay was in. Occasionally the villein received food from his lord for the boon-work, usually one meal only and sometimes known as nonemetes’. At Wistow in 1324 – 80 men with 20 ploughs received fish worth 3s 2d, 2 rings of corn and 3 rings of malt; in 1351 – 102 men received 2 cows, 6 rings of corn, 2 rings of malt, 8lbs cheese and 2 geese. Small holders by labour tenure were known as cotmen or crofters, the cotland being larger than the croft, with 5 to 12 acres and the croft 2 to 3 acres. The services of these are not easy to distinguish from those of the villein, though fewer days of week-work were required. Generally a day’s work was sunrise to sunset but at Wistow harvesting from dawn to noon was regarded as one work. At harvest time the villein arrived with his whole household except his wife but including his children. Nowadays, even though the village is still encompassed by farmland, the people of Wistow are no longer tied to the land as they were until 150 or even 100 years ago. Today, although some still live here and work on the farms, the majority of working villagers commute to the surrounding area, the larger towns nearby such as Cambridge or Peterborough and to London, which is only an hour away by rail. With the emergence of Protestantism after the Dissolution of the Monasteries in 1539 support for the Catholic faith did not entirely disappear in Huntingdonshire. In 1584 the diocese of Lincoln investigated two ministers, Stephen Wakefield of Wistow and William Dickinson of Elton. They were accused of being Recusants, individuals who refused to attend Anglican services. The ‘Recusancy Acts’ began during the reign of Elizabeth I and imposed a number of punishments on those who did not participate in Anglican religious activity, including fines, property confiscation, imprisonment and in some cases those adhering to Catholicism faced capital punishment. The period between 1643 and 1660 was a time of almost uncontested Parliamentary control of Huntingdonshire and some locals took advantage to overturn the old order. Puritans introduced their own ideas on church worship and deprived former ecclesiastical opponents of office. Then in 1644 the new Presbyterian Church government introduced an even more exacting ordinance, which evicted about twenty clergymen. Some were treated quite harshly, Mr Baker of Wistow being ‘imprisoned at Huntingdon jeyl where he was abused and barbarously treated’. William Baker returned as Rector of Wistow in 1661 after the Restoration of Charles II. The Inclosure or Enclosure Acts were a series of Acts of Parliament which enclosed open fields and common land in the country. Enclosure did away with the medieval strip system by joining the strips together to make larger units of land, which could be fenced or hedged off from the next person’s land. In this way a farmer had his land in one place which was more practical and gave him greater independence. This was good for the farmers but not for the local people whose previous rights such as cultivation, cutting hay, grazing animals or use of other resources such as small timber, fish, and turf were taken away. Inclosure Acts for small areas had been passed sporadically since the 12th century but the majority were passed between 1750 and 1860. Prior to about 1740 villages were generally enclosed by agreement. This was when the main owners of the land made a private agreement to join their strips together and this may have involved buying some strips from the small farmers to get rid of any possible opposition. 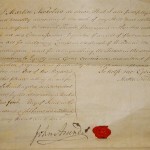 If the land in a village was owned by one or two people, enclosure by agreement was relatively straightforward, but if a number of smaller landowners opposed enclosure by agreement an Act of Parliament had to be obtained. This became the accepted procedure after 1750 as it meant that the whole of the village (including common land, wasteland, meadows and open fields) could be dealt with at the same time, allowing for any opposition to be heard and each enclosure had proper legal documentation and certification. 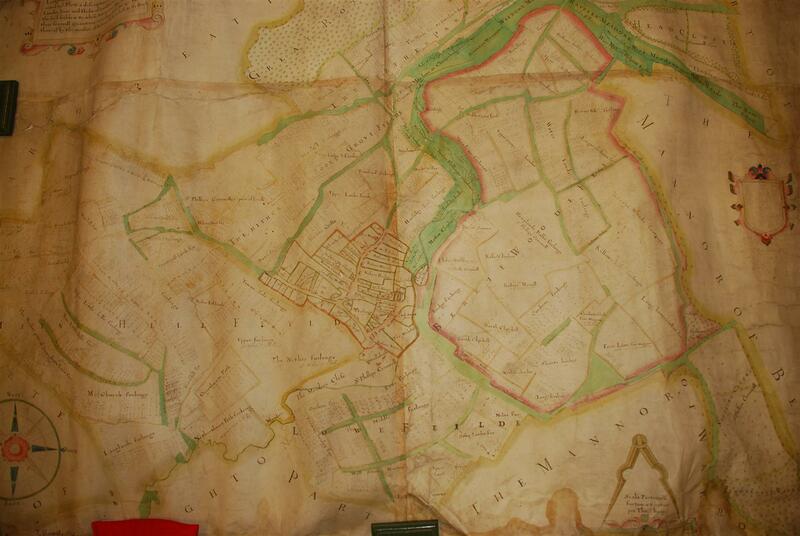 These papers give a key to the references in the map with descriptions of the lands and tenements; tenures (e.g. freehold), quantity of land in acres, yearly corn rents or sums of money and quantity of wheat in bushels. 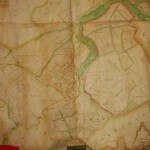 The following photographs of the 1832 Inclosure map and papers are published with the permission of David Walker. 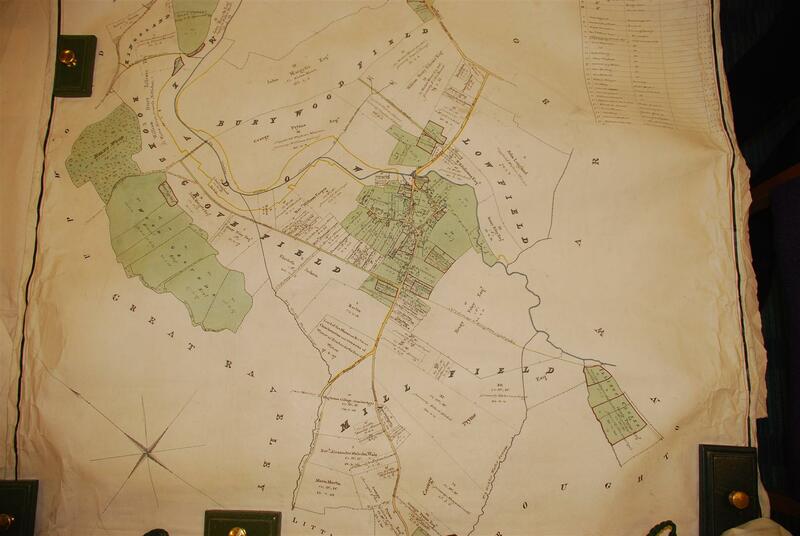 The original Wistow maps held at Huntingdon Records Office are very large and show the whole of the manor including the surrounding countryside with the names of the land owners right down to individual fields. In the top left hand corner of the 1617 map there is an inscription describing the purpose of the map, or the PLOTT as it is called, and interestingly in 1617 our small village was referred to as the TOWNE. 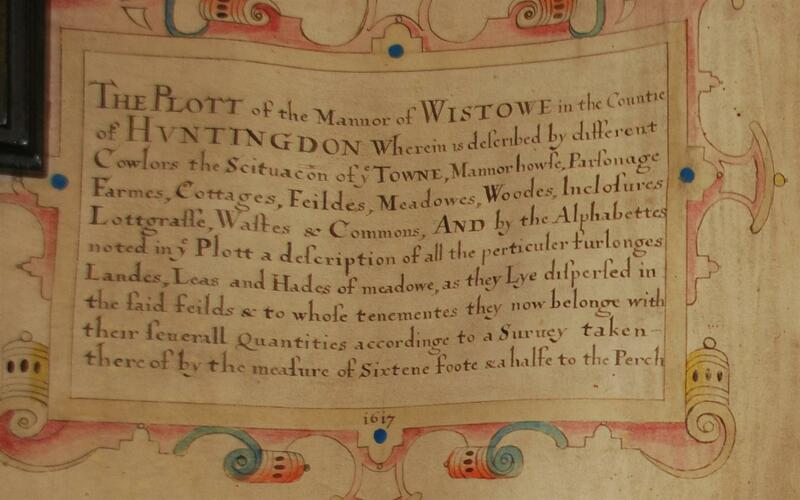 In 1617 the fields seem to be divided into furlongs with some very descriptive names. Many of the names are geographical or refer to landmarks e.g. Bridge Furlonge, Brown Bridge Furlonge, Broc Furlonge, Church Furlonge, Town Side Furlonge, Copdich Furlong, Conduite Furlonge, White Cross Furlonge and Farr Little Hills Furlonge. Others describe the type of land or what grew there e.g. Upper and Middle Stoney Landes, North and South Clayhill, Water Lande, Hemplande Balke Furlong, Berrie Woods Furlonge and Berrie Side Furlonge. Other names of note are Twelve Shillinges meadowe, Upper and Long Larke Landes and Buttes Furlonge. All of which give us clues to historic Wistow. Buttes Furlonge would have been where archery practice was undertaken, Twelve Shillinges meadowe was the worth of that meadow at some point in time, the land called Clayhill was the obvious choice when the Wistow brick works needed to be sited and probably there were once two bridges across the brook, one of which was brown. By 1832 the fields have mostly lost their individual names and are generally labelled with the name of the land owner. 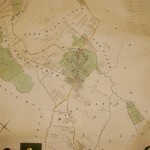 (See the item on The Original Inclosure Map of Wistow 1832). Wistowpedia, like its namesake, can tell you everything you wanted to know and maybe some you didn’t! This part of the village website was set up in 2010 by the Wistow History Society, a group of people with a common interest in finding out about the history of the village. Originally the aim of the Society was to produce a printed history, until an insightful person floated the idea of a website and from that eureka moment Wistowpedia was born. 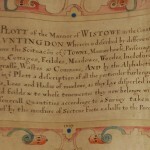 The theory behind Wistowpedia is to produce a history of Wistow written by local people, as historically accurate as possible, containing both social and political history of the village through the years. It is hoped by all in the History Society that you will find something that is of interest. All the Society sincerely hopes this has been achieved and would welcome your comments. Depositions of Joseph Phillips and all others against James Dickerson charged with felony. The Information of Joseph Phillips of Wistow in the said County taken on oath this 10 Day of April 1854, before me, the undersigned, one of Her Majesty’s Justices of the Peace, acting at Huntingdon, in and for the said County, in the presence and hearing of James Dickerson. I am Shepherd to George Pryme Esquire who (occupies) a farm at Wistow in this County, he (had) some sheep in a field in that parish called Raveley (Hole). Last Saturday the Eighth Instant they were ewes and lambs. I saw them on Saturday night between six and seven. They were alright. About my flock on Sunday morning I saw Joseph Yates and from what he told me I went down to Raveley Hole. I found one the ewes had been slaughtered and a piece of the carcass taken away, it was taken from the left (front) leg and one the ears was also cut off. Joseph Yates showed me that morning a piece of meat and a sheep’s ear which I have no doubt had been taken from the ewe belonging to my master. The Prisoner declined asking the ??????? any questions. 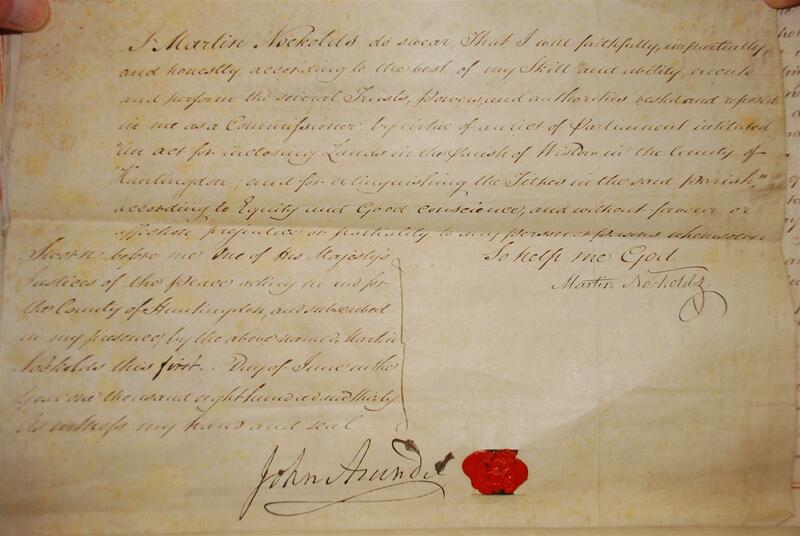 The Examination of Joseph Yates of Huntingdon in the said County taken on oath this 10 Day of April 1854, before me, the undersigned, one of Her Majesty’s Justices of the Peace, acting at Huntingdon, in and for the said County, in the presence and hearing of James Dickerson. I am one of the Police Constables of the Borough of Huntingdon. I was on duty on Sunday morning between one and two o’clock. The prisoner, James Dickerson came to me about that time at the station house. He sat down on the steps of the station house door and said he was tired and should not go any further for he had been to Wistow and killed a sheep. I then took him into the station house and I asked him if it was true what he had said, he said, yes it is quite true, his hands were covered with the blood – he then produced a piece of meat and a sheep’s ear. I search him and found a knife on him which was also bloody – I then asked why he had done it he said he could get no work and wanted to be sent out of the country – he said he had been to Mr Woodruff, the evening before who gave him a four penny piece and told him to go to Mr Saunders to try to get a job. Mr Saunders refused that. He then went to try to catch one of Mr Saunders’ sheep and failed and then went to Mr Fairlee and killed a sheep. Mr Fairlee is Mr Prymes Bailiff. I then went over to Wistow and went to the field where he told me he had killed he sheep and I found a sheep dead. I examined the sheep the skin was on but a piece of meat had been cut off the thigh and one ear was off. I afterwards went to Joseph Phillips who is shepherd to Mr Pryme. I told him what had happened and showed him the meat and the sheep’s ear which I had taken from the prisoner. Phillips afterwards brought the sheep up to Mr Fairlee’s house. I (patterned) the ear myself and it exactly fitted. The prisoner was quite sober when he came to me at the station house. I said nothing to the prisoner to induce him to make communication. The Prisoner declined asking any questions. James Dickerson stands charged before the undersigned, one of Her Majesty’s Justices of the Peace for the County of Huntingdon, this Tenth Day of April in the Year of Our Lord One Thousand Eight Hunderd and Fifty Four for that the said James Dickerson on the Eighth Day of April Instant at the Parish of Wistow in the said County wilfully killed a certain ewe sheep the property of George Pryme Esquire with intent to steal the carcass or meat thereof. And the said Charge being read to the said James Dickerson and the Witnesses for the Prosecution Joseph Phillips and Joseph Yates. Being severally Examined in his presence, the said James Dickerson is now addressed by me as follows : ‘Having heard the Evidence, do you wish to say anything in answer to the Charge ? You are not obliged to say anything unless you desire to do so, but whatever you say will be taken down in Writing, and may be given in Evidence against you upon your Trial. And you are clearly to understand that you have nothing to hope from any Promise of Favour, and nothing to fear from any Threat, which may have been holden out to you to induce you to make any admission or confession of your guilt, but whatever you shall now say may be given in Evidence against you upon your Trial, not withstanding such Promise or Threat’. I was not quite sober when I did it. I have nothing more to say. WISTOW and its PEOPLE – a typical Huntingdonshire Parish. The old times of a native. The following notes of Wistow and its people are extracted from a MS written by the late John Meadows, a native of Wistow coming from a long line of an old Wistow family. He wrote the bulk of the notes, here reproduced, on or about his 86th birthday. He died at Fallowfield, Manchester in the early part of the present war at the age of 87. We are indebted to his son, Mr William Meadows, of the Lion Hotel, Ramsey for readily responding to our request and placing his fathers MS at our disposal. I was born, writes Mr John Meadows at Rooksgrove House, Wistow on the 8th October, 1823. The village was not then as it is now. My ——- had resided there, on the self same spot for many generations. It is said that ‘Uriah Harris’ had built the house and also the great dovecot adjoining. At the top end of the village street grew some ancient lime trees, and when walking under them, it was difficult to see through their luxuriant leafy branches. It was there the village boys and girls met to play in the evenings, but most of those whom I remember have now gone to their account. When about five years of age I went to Mrs Wilkins school. She was a kind old lady and kept a magpie in a cage which could talk a little. The magpie so much amused us that it was no doubt a grave distraction to our infant studies. From Rooksgrove House I used to get to Mrs Wilkins by crossing several home closes. Kites and hawks were abundant in the district in those days, their home being in Monks Wood, and I have often heard my mother lament the loss of her chickens and poultry which were continually being pounced upon by these birds of prey and carried off. The high road from the White Stone had deep dikes on either side half full of water after rain, and this water rushed down the village at full tide. The village children made boats of wood, which they throw on the rushing stream, and great excitement was manifested in seeing which boat could go the fastest. The old brook being crooked and clearly banked up in places, the water going down it would often suddenly rise, and then the village would be flooded for several days. On these occasions, the road would be quite impossible until the water had subsided. The water ran freely down by the blacksmiths shop, then crossed the surface of the road and emptied itself again into the normal course of the brook. A footbridge had been erected here which had hand rails on either side, and this was very convenient in times of flood, especially on dark nights, enabling the villagers to pass over safely and dry. WHEN THE FIELDS WERE OPEN. —– Green was choked with mud and woods where the carts went through the stream. It was therefore thought desirable to cut a new course for the brook straighter, with a bridge crossing it near to Gossum-gate. A man named Carter with his three sons from Kings Lynn came to carry out this work. Since then the flood water had got away with much greater rapidity, and it was generally considered that the money had been well spent. The old system of cropping was the —- of the field to be fallow each year, and then either wheat or grain, and no other system was allowed. At the time of the enclosure the names of the owners, occupiers, farmers, tradesmen and labourers in Wistow, are given below. All of them I well remember, many of them are now deceased, in fact there are only three living, other then myself. This was written on Mr John Meadows 80th birthday, October 8th 1903, many have left and gone to live elsewhere. Mr Edward Fellowes of Ramsey Abbey owned two farms, one near the Bridge, Brook Street occupied by Mr —– Macer, and the other farm was at Kingsland, occupied by Mr John Julian of Bury. Mr Fellowes also owned Raits Wood and other small plots about the parish. Mr John Margetts owned the Hill Farm, also a farmhouse in the village where he occasionally resided and kept the farm on in his own occupation up to the time of his death. 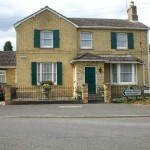 The house has since been pulled down and the premises sold to Mr Pryme. Mr Alexander Malcomb Wales owned about 20 acres of land in the parish occupied by Mr William Mitchell near to the Windmill in Wistow Field. Mr John Longland owned the Brook House Farm occupied by Mr John Fullard. Magdalen College, Cambridge owned the farm in Mill Street, occupied by Mr William Mitchell. Miss Jackson of Huntingdon, owned the Rooksgrove Farm, occupied by Mr Thos Meadowe. 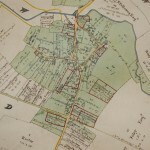 The Rev S Cooperowned several odd plots of land, and also occupied a farm south-west of the village, owned by the Rev W Cooper of West Rasen, Lincolnshire and he also occupied odd bits of land owned by Miss Betsy Nettleton, who resided at the top end of the village, with her uncle, the Rev Samuel Cooper. 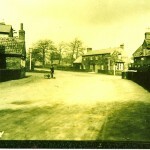 Mr Thomas Cooper Nettleton owned and occupied a house and some grass fields next the village street. Mr Jas Peppercorn owned a house and premises, and also several plots of land, where he resided. The land was on Wistow Hill, the house was on Manor Street. Mr John Cope owned and occupied a grass close called Huntingdon Close, situated beside the road leading to Huntingdon, and he resided in a house next the lane. Huntingdon Close as was owned and occupied by Arthur Cope, a descendant of the Cope family, who is a nephew of mine. His mother is also a niece of mine, named Betsy Meadows. Her father, Thomas Meadows, was my brother, who died a few years ago. Huntingdon Close has been in the family over 300 years. Mrs Macer owned and occupied a house with orchard and grass close, called Michael’s Close, next Back’s Lane. Her maiden name was Sarah Cope. 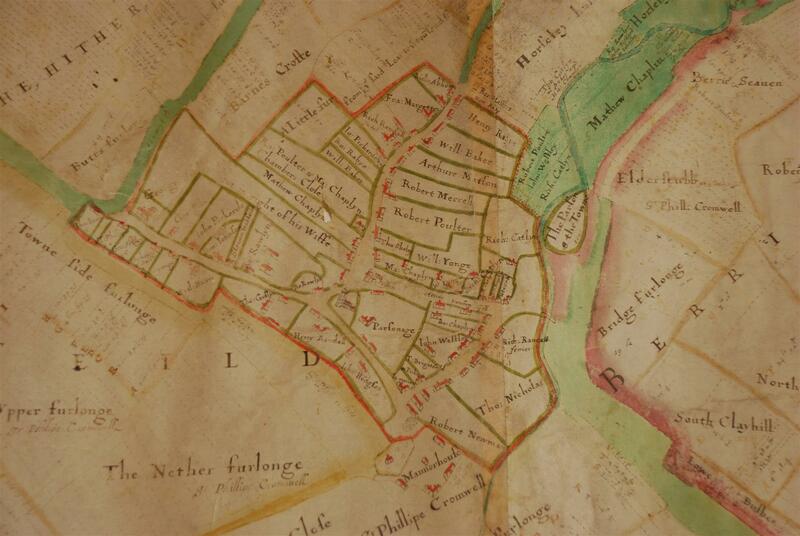 Mr Hugh Jacks of Wisbech, was owner of a wood close, near Warboys Wood and next to Broad Place, Fen Lane Wood. The close and land are now in the occupation of Thos Meadows. Mr Thos Meadows Senr, owned and occupied a wood close, near Warboys Wood called Grey’s Close. There were also two plots of land belonging to Holme Poor. Also a plot of land up Wistow Hill, owned by Mrs Turner. A plot of land called —– Grounds, below the wood, was owned by Mr Edward Macer. A plot of land in Crabb Tree —- and a wood near Warboys Wood owned by Mr Macer. There was also —- —– about 50 acres, owned by the Rector, near the Wistow Poor Allotments. 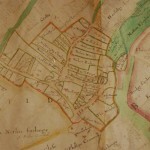 Land in Conduit Field was owned by the Duke of Manchester, or Lady O B Sparrow, and occupied by Mr John Rowell of Bury. Then there was the ‘Fleur de Lys’ owned by Mr John Harding, with a piece of land on the Mill Road, the tenant being Mr John Piggott. 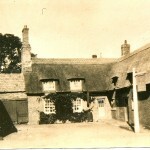 The Plough Inn was owned by Mr Turner of Brampton, and with it was a plot of land, the tenant being Mr Faithful Chapman. There were afterwards three new licensed houses, via ‘The Oddfellows Arms’ built by Mr Thos Meadows, the owner, and occupied by Mr —– Allpress, ‘The Chequers’ occupied by Mr Jonas Bamworth, and ‘Uncle Toms Cabin’ built and occupied by Mr George Ross. The tradesmen of Wistow about that time, though not all living there at one time, were as follows- Wm Cope, brewer, Thos Mitchell, shopkeeper, John Dickenson, miller, baker and shopkeeper, John Page, beer retailer and shopkeeper, John Cope, brewer and shopkeeper, Ed Foreman, carpenter and builder, Wm Shepperson, carpenter, —– and builder, George Ross, brewer and catcher, Charles Samworth, butcher and also a dealer, Henry Furnell, blacksmith, Wm Shepperson, senr, blacksmith, Henry Allpress, saddler and harness maker, John Hall, shoemaker, Jos Butler, shoemaker and shopkeeper, Wm Boast, pig dealer, Thos Howles, tailor, Jos Swinton, tailor, Wm Gifford, shopkeeper, Goods, shoemaker, and Thos Goods junr, carrier. I do not know whether the family named Cowling, some of whom lived and died in Fenstanton, were related or not to the Wistow family, but after the death of the last of the Goslin family, the furniture of the Goslins went to the Cowlings, —- —- —–. The Goslin family I understand had lived at Wistow for nearly 300 years being —- and occupiers of land there to a considerable extent. The Goslins of Wistow were related to the Cromwell family by marriage, being so recorded in Carlyle’s History of Cromwell. (The Goodes family first came to the notice of the History Society via an email from David Foxley, the great great grandson of David Goodes. It is mainly with the information that he provided that we have been able to write this article and we are very grateful for his help. We also thank Mr Foxley for allowing us to use the images included in this article). 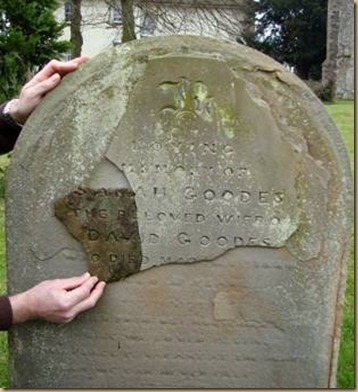 David Goodes was the founding father of the Goodes family of Wistow. He moved here sometime between 1851 and 1861 and remained in Wistow, probably in the same house, until his death in 1907. He was a boot and shoemaker, living in Mill Road with his wife, Sarah, and their large family. Using census information we can track David Goodes movements until he arrived in Wistow in time for the 1861 census. David was born in Ellington near Grafham Water in 1826. His father John Goodes died in early 1841 when David was just fifteen years old and the 1841 census shows David living in Rectory Lane, Ellington with Mary, his widowed mother, two sisters, Elizabeth and Mary, and a brother named Thomas. Following the death of David’s father, Mary Goodes married William Smith, a farm bailiff also born in Ellington. In the 1851 census David’s sister Elizabeth was a milliner and dressmaker in Sawtry and his brother Thomas was a cordwainer (another word for leather shoe maker) living at the Dolphin Inn, High Street, St Mary’s, Huntingdon. Later that year he married Selina Webb, the daughter of the publican of the Dolphin, and six months later their first child Thomas, was born. They emigrated to Canada, somewhere near Niagara Falls, before the 1861 census and were married for sixty five years raising six children. We lose sight of David’s other sister Mary after the 1841 census. In 1851, ten years after his father’s death, David was married and living in Sawtry with his wife, Sarah (nee Taylor, born in 1829), and her parents, both of whom were described as school teachers. Another ten years pass and the 1861 census shows us that he is living in Mill Road, Wistow and there he stayed because in the 1881 census his widowed mother in law, Ann Taylor, was living in Wistow with David and Sarah. David’s last appearance was in the 1901 census, just a few years before he died. Sadly his wife, Sarah, had died much earlier in 1886. Her grave can be seen in the churchyard but it is quite worn and much of the inscription has fallen off so it is not possible to know for certain if David is buried with her. As mentioned earlier, David and Sarah had a large family, which was not uncommon in Victorian times. They had nine children and gave them some fairly unusual names. There was Virtue, Zeno Thomas, Enos Original, Ambrose, David Horatio, Rosina, Selina, Mary Elizabeth and Elizabeth A. All of the daughters eventually moved away from Wistow, although Rosina lived here well into the twentieth century. Virtue moved to London, as did Mary Elizabeth. Selina became the second wife of William Brown, a widower twenty five years her senior, who worked in the shoe trade in Raunds near Wellingborough. It is likely she met him through connections with her father David, who was also a shoemaker. Elizabeth Ann went to work in London and married a gardener from Oxfordshire called John White. 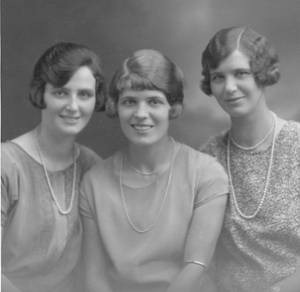 They had three daughters, Hilda, Mabel and Lilian, who lived their entire lives in a block of cottages on the Great North Road in Finchley. Hilda White married a Jack Gray, and one of the others married a fellow also called Brown. We don’t know why but at the time of the 1861 census one of David and Sarah’s daughters, Mary Elizabeth, was being raised in Wistow by her grandmother, Mary Smith and in 1878, when Mary Elizabeth was about 23 years old, she gave birth to a daughter Ethel ‘out of wedlock’. It seems that Ethel was living with her grandparents David and Sarah Goodes at the 1881 census. Then in 1885 Mary married George Middleton, a scaffolder from Stepney and they went to live in Finchley with Ethel being listed as George’s stepdaughter. Ethel married a Charles Seares in London and they had three daughters named Muriel, Constance and Lillian. Of David’s sons, Ambrose was listed as an unemployed carpenter in Wistow in 1881 but he eventually moved to live with his sister Mary Elizabeth and her husband George in Finchley, where he was employed as a gardener. David Horatio went to Doddington and became a postman until his death in 1907, which incidentally is the same year as his father died. Enos Original was still living in Wistow in 1901, but is missing from the census in 1911. He may have lived a long life somewhere else because there is no death record for him before 1938, which is as far as available records go at present. Zeno Thomas was the last male member of the family known to be living in Wistow. David Horatio had a son Dennis who, like his great uncle Thomas, emigrated to Canada in April 1912 on the Laurentic, a sister ship to the Titanic, which was involved in the search for wreckage and bodies. Dennis served in the Canadian army in WW1 and emigrated to the USA in 1923. At the time he was described as a gardener. In 1933 when he applied for US citizenship, he was recorded as being in the seed business. He must have been fairly successful as he made three return trips to Europe in 1936, 1949 and 1957. We return to the remaining Wistow residents. Rosina didn’t live in Wistow continuously. She had a break when she left to work as a domestic servant in Enfield in the household of Mrs Kircaldie, the wife of a Colonial Broker. She returned when she became the second wife of William Gifford, a draper and grocer who lived and ran his business from the house now known as The Old Post Office in Bridge Street. William’s first wife was called either Ann Burrows or Ann Goodman (it has not been possible to separate the names in the records). Ann died in 1884 and William married Rosina in Barnet, near Enfield, in 1886. They had two daughters, Rose and Lilian. William Gifford was the grandson of Thomas Meadows, a long standing resident of Wistow, farmer and in 1832 the owner of the William IV public house in Bridge Street. 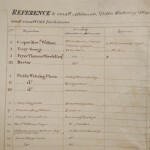 William makes his first appearance in relation to Wistow in the 1851 census aged nine when he and his brother, Thomas aged seven, were recorded during a visit to their grandfather. He moves to Bridge Street prior to the 1871 census and stays there until his death in 1911. Conveyance of property from John James Bryant (Draper of St Ives) and Arthur Cope (Farmer from Wistow) executors of William Gifford’s (shopkeeper) will to Rose Gifford (widow) for £290. The property was Dwelling house and shop with outbuildings and appurtenances in Bridge Street then in the occupation of R Gifford. Also the Messuage of Tenement adjoining formerly used as a Public House and known as the Oddfellows Arms with the outbuildings and appurtenances then in occupation of Zeno Goodes. Rosina continued to run the drapers shop in Bridge Street and is remembered by both Harold Lindsell and Peggy Glover (see their Memories articles also in Wistowpedia). Rosina Gifford nee Goodes died on 24th January 1944, Probate was granted to Lilian and Rose Gifford on 16th March 1944 and on the 27th Assent in favour of Lilian and Rose was given. Then on Christmas Day that same year Lilian died leaving just Rose. David Foxley has told us that he never met Lilian Gifford, but “Aunt” Rose, who would have been his third cousin, lived close to his family in Peterborough when he was a youngster and visited regularly. She was a very accomplished pianist and organist, who played in several churches and chapels around Peterborough. At the time of the 1901 census Rose was a boarder in at a school in St Ives that seemed to specialise in the teaching of English and Music. 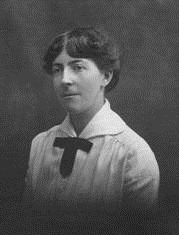 Although talented enough to do so, Rose did not teach music but worked instead as a lady’s companion and she died just before Christmas 1962, at the start of that terrible winter. We return to Zeno Thomas, Rosina’s brother, and the last person with the name Goodes known to have been living in Wistow. Zeno (often wrongly transcribed as Leno) Thomas Goodes was listed in several censuses (1891, 1901 and 1911) as a publican and pig dealer, living either in Mill Street or Church Street. He was born in 1857 and married Frances Rebecca Crawley, who was born in 1858 and died of kidney cancer in 1906. They had two daughters, Sarah Ann and another Rosina. Rosina, David Foxley’s grandmother, moved first to Ramsey on her marriage to George William Rowell in Wistow Church on 21st July 1909, and then to Peterborough. So far as he can recall, his mother said that Zeno only once came to visit them in Ramsey, and she never mentioned seeing him again. 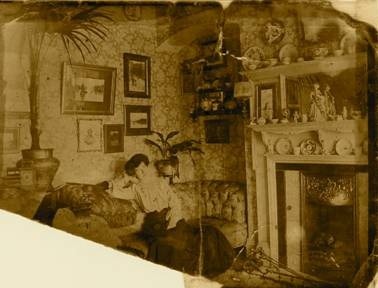 Sarah Ann, always known as Annie, went to live in London with her aunt Virtue sometime before the 1901 census and returned to Wistow when her mother died in 1906. It is not known how long she stayed in Wistow, but she moved to Lancashire (alone) to work in the hosiery trade before Zeno’s death in 1937. It appears that Zeno did not get on very well with his immediate family and David Foxley suspects that Annie did not stay looking after her apparently disagreeable father for very long. Zeno was described as a publican in Rosina and William Rowell’s marriage certificate. The Kelly’s directory of 1903 records a Thomas Goodes at the Plough Inn. This is certainly Zeno Thomas Goodes and he was obviously a publican at the Plough Inn for quite a few years, at the very least between 1903 and 1909. (William and Arthur Crawley are probably related to Frances in some way. Arthur seems to be her nephew as her brother Charles Crawley had a son called Arthur). We know from the earlier conveyance document that by 1914 Zeno Goodes was living next door to his sister, Rosina Gifford, in the property she owned next to her shop in Bridge Street. At that time it was referred to as the cottage formerly known as The Oddfellows Arms and today is called Bridge House. The Oddfellows Arms had erstwhile been used as a beer house or pub, certainly in the 1861 census it was a beer house run by a widow called Eliza Wilkinson. In 1871 Thomas Peach was described as a publican at the Oddfellows Arms and by 1881 George Harding was the publican. 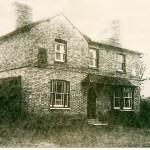 By 1891 the house had ceased to be used as a beer house because the Hardings still lived in the cottage but were no longer described as publicans. David Foxley, Zeno’s great grandson, tells us that Zeno Goodes died on Aug 19th 1937 in Eaton Socon at a place called White House, even though he was listed as living at Bridge Street, Wistow and described as a cattle dealer. He was puzzled by this because, although Eaton Socon is not too far from Wistow, he could not think of a connection that Zeno might have there. On further investigation he discovered that White House is listed as the current name of what was previously the St Neots Union workhouse. Many workhouse buildings were “rebranded” as old people’s homes, so we can only assume that Zeno was unable to look after himself and was taken into care before his death. 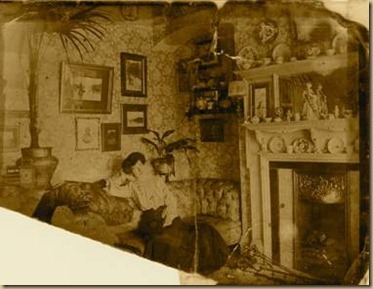 This glimpse into one family’s history gives us an insight into some aspects of Victorian life. People were willing to move in order to find work with London being the same magnet that it is today. Some were adventurous enough to take the plunge and emigrate to Canada like David’s brother Thomas and his grandson, Dennis. 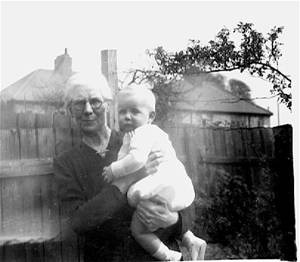 David Goodes travelled the short distance from Sawtry to Wistow; some of his children moved a bit further to places such as Doddington, Barnet and London and his granddaughter Sarah Ann was brave enough to move on her own to Lancashire to seek employment. On the whole people lived where they worked and David Goodes was able to make a living as a shoemaker in a small rural village such as Wistow. Also people would turn their hands to anything in order to make a crust and remain in the village. For example Zeno Goodes was at times both a publican and a pig dealer. Family bonds were important and kept families together wherever they lived. The stigma of illegitimacy did not stop Mary Goodes’ grandmother and parents from supporting her and her child. We know too that Ambrose lived in Finchley with his sister Mary Elizabeth; Sarah Ann lived in London with her Aunt Virtue and the Crawleys boarded with their aunt Frances, Zeno’s wife. Also the bonds were strong enough to pull people back to Wistow. The older Rosina Goodes returned to marry William Gifford and Sarah Ann came back to live with her father, Zeno, after her mother died. 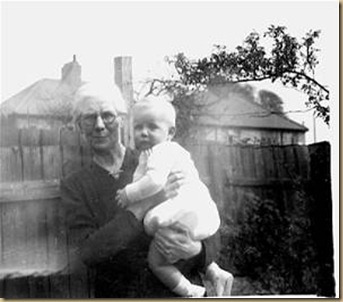 Although the younger Rosina Goodes didn’t see her father often after she married, despite only living in Ramsey then Peterborough, she still maintained contact with her cousin Rose Gifford and the ties lasted two generations down to her grandson, David, who knew his “Aunt Rose” until she died in 1962. We hope you have enjoyed this look into the lives of some previous Wistow residents. The following email was sent to the Wistow History Society and has cleared up the details of Sarah Goodes gravestone. Thank you to Sharon Waters for this information.